There are two ways to upload Vidyard videos: (i) from your 3Play Media account or (ii) directly from your Vidyard account. 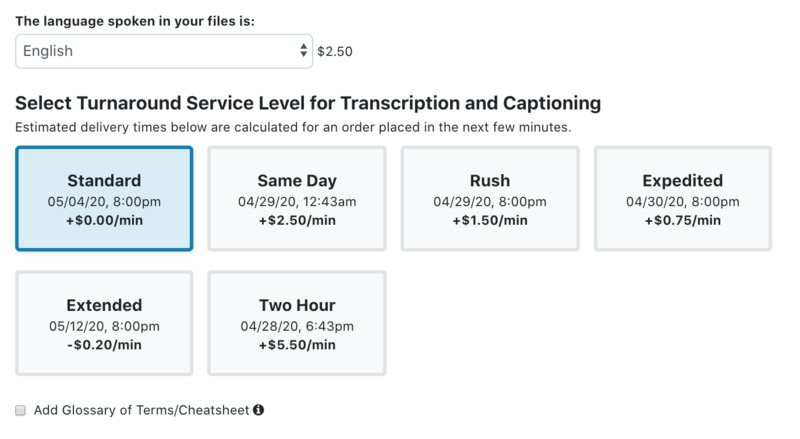 This article explains how to submit captioning requests directly from within the 3Play Media account system. Follow the steps below to submit requests for closed captions for Vidyard content from within the 3Play Media account system. 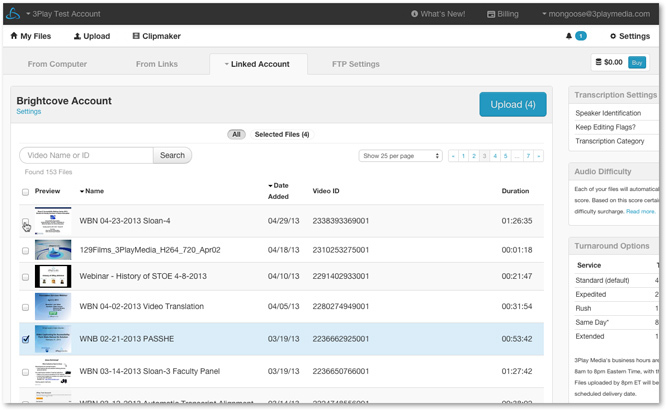 After logging into your 3Play Media project, click on Upload Media located in the upper left-hand corner of the page. Click on Linked Accounts and from the dropdown menu that appears, select your linked Vidyard account. After selecting the linked Vidyard account you will directed to a feed of all of your available Vidyard assets. Select the videos from the feed that require closed captions by checking the box to the asset. 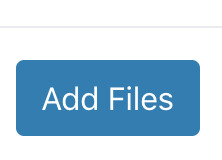 Notice as assets are selected the count within the Process button changes as files are selected or deselected. Click the Process button located above your list of Vidyard videos. You will see a count of the number of videos selected. By default the English Transcription and Captioning service is selected. If you already have a transcript that you would like 3Play Media to sync with a Vidyard asset, select Alignment. Spanish-Latin American Transcription and Captioning, is also available. Please note Spanish-Latin American Transcription and Captioning, is NOT a translation service. This service is used for Spanish content, that needs Spanish-Latin American Transcription and Captioning. 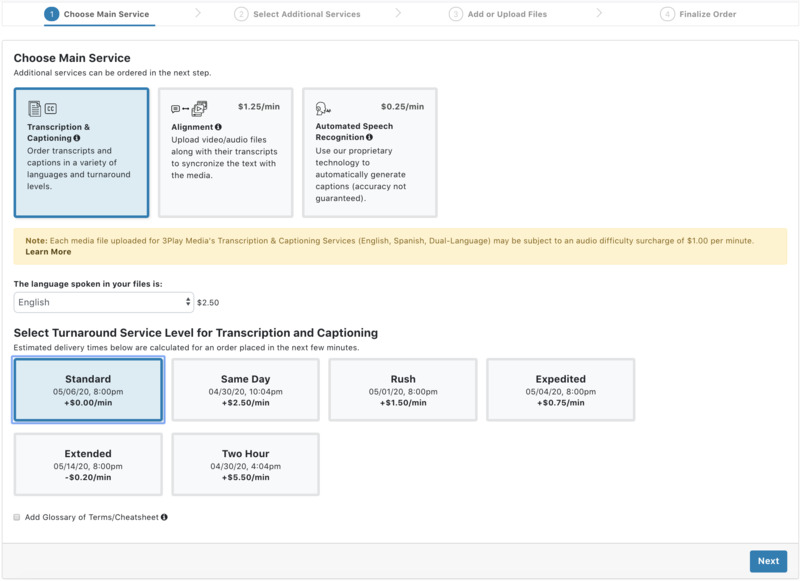 Check the box next to Add Audio Description and/or Add Caption Placement under Add-On Services to order these services. Once the box Add Audio Description is checked select one of three options: Standard Audio Description, Extended Audio Description, or Use 3Play’s Recommendation. Learn more about the difference between Standard and Extended Audio Description here. If you are unsure as to whether your video will require Standard or Extended Audio Description, you can opt to Use 3Play’s Recommendation. Learn more about using 3Play’s Recommendation here. Check the box Add Caption Placement under Add-On Services to also include this in the order. 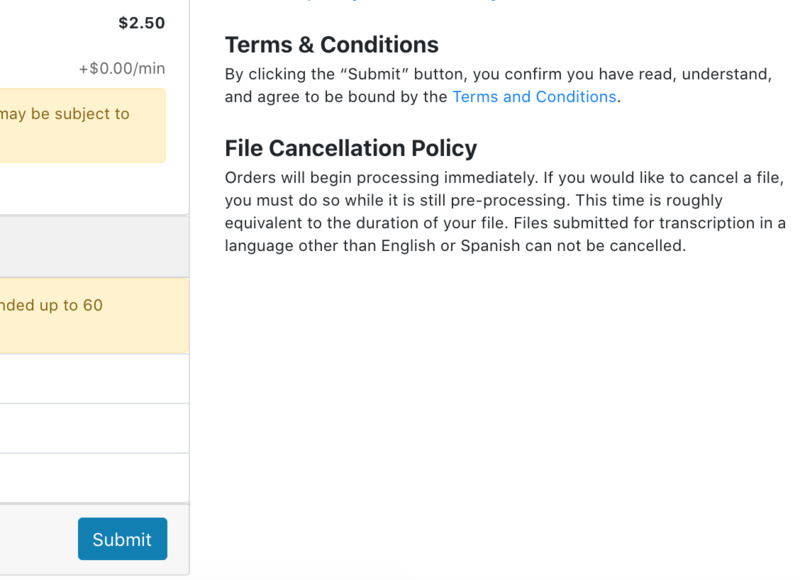 Once you have reviewed your order checked the box acknowledging the cancelation policy, click Place Order. 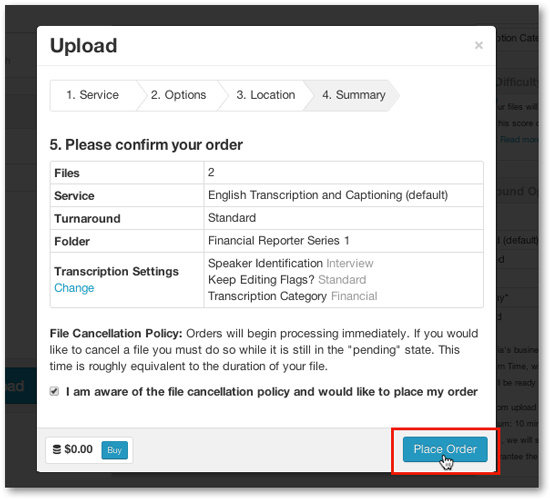 Once Place Order is clicked your files will begin uploading and will start in the Pending State. 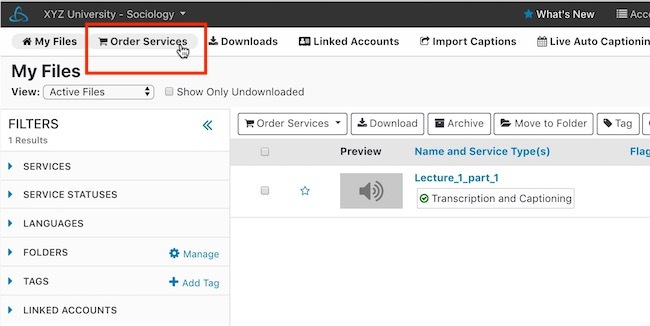 Upon completion of the transcription process, the captions will be sent back automatically to the Vidyard asset if Postback Captions is enabled within the linked account's settings. View step 6 of the Vidyard integration setup article to learn more about Postback Captions.